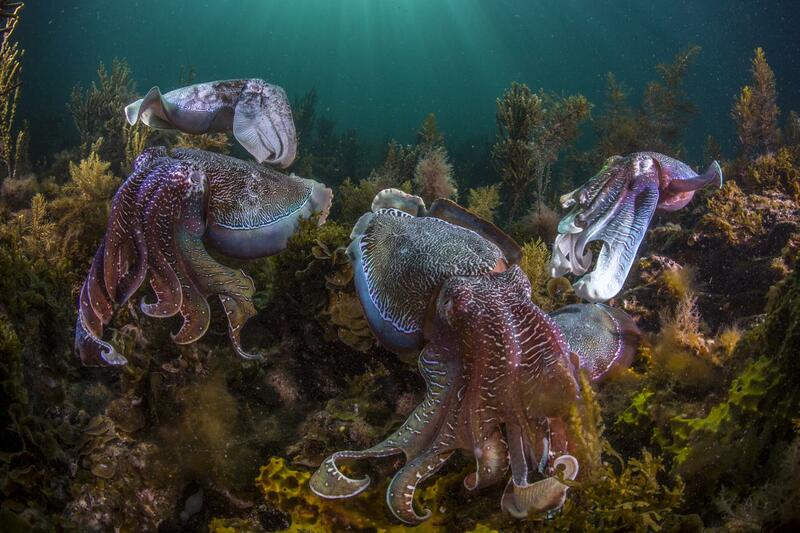 Giant Australian Cuttlefish are one of the cephalopod species experiencing population growth due to an increase in ocean temperatures caused by global warming. Photo: Eureka Alert | Scott Portelli, Wildlife Photographer. By now, we’re all used to reading stories about how global climate change is harming life on Earth. This increase in temperature is a big problem for the world’s oceans. Rising water temperatures are displacing species and leading to coral bleaching. It’s not all bad news. There are some creatures who are benefiting from climate change. Cephalopods, which include octopi, squid, and cuttlefish, have been on the rise over the last sixty years. Although nobody is sure why this is happening, between 1953 and 2013, the population of 35 different species has been increasing. Cephalopods grow quickly, they don’t live very long, and they are very sensitive to environmental change, making them quite adaptable. This explains their rapid expansion in numbers. Whether warming oceans are entirely responsible is unknown, but it’s not likely to be that simple. Ecology is complex, and there are probably a number of factors at work in this population growth. Another question is how this rise in population will impact other creatures that share ecosystems with these cephalopods. Cephalopods are voracious predators. Larger populations of them could devastate their prey species and related species before the new population reaches an ecological balance. Cephalopods aren’t apex predators there are other creatures who prey on them. Their larger numbers might provide a surplus of prey for sharks and other creatures. Humans could be encouraged to harvest more of them without damaging their populations. Though making business decisions on something that might be a quirk can be risky. More research needs to be done to understand this population shift. How strongly are these population growths tied to global temperature and human activity? Will they continue to change in proportion to the global temperature, and how will efforts to reduce climate change impact them? Luckily scientists all over the world are investigating these issues. Cowbirds ensure that they don’t have to adapt their eggs to resemble those of other species. By threatening violence, they force the stepparents to accept their egg. Photo: Max Planck Institute. Certain species of birds, like the brown-headed cowbird or the European great spotted cuckoo, lay eggs in other birds’ nest. They hope that those birds will raise their young for them. These kinds of birds are known as brood parasites. They’ve used this strategy for a long time, but we’re still learning about how they manage to succeed. When a bird discovers a parasite egg in its nest, it either pushes it out or just raises that egg, too. The way a bird reacts to a parasite egg is dependent on other ecological factors, such as how populous the parasite species is. The nesting bird’s reaction is an important part of the mafia hypothesis, which states that birds are more likely to raise parasite eggs if they fear retaliation from parasite birds. 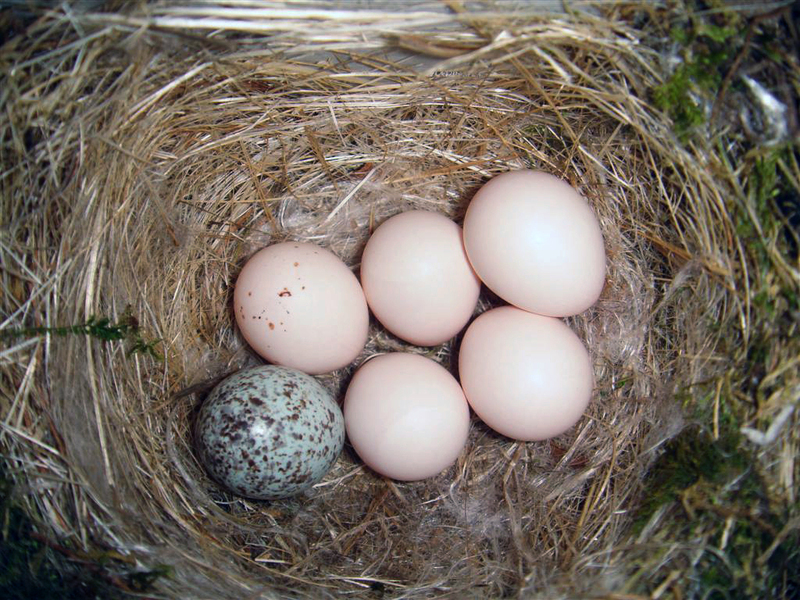 The mafia hypothesis is expressed in this behavior: a cowbird lays an egg in another bird’s nest, and if that egg gets destroyed, they subsequently attack the nest and destroy the other eggs, forcing the birds to lay more eggs. Once this happens, the host birds don’t kill further parasite eggs out of fear that their brood will be destroyed again. A mathematical model developed by scientists from the Max Planck Institute for Evolutionary Biology found that this is the most common factor in determining how host birds react to parasite eggs. If they have no reason to fear retaliation, say because there aren’t that many cowbirds around, they go ahead and push out that egg. Other scientists question the hypothesis, though, because of a practice called farming, in which a parasite bird destroys a nest of eggs so that the hose has to lay a new clutch, and then sneaks one of its eggs in there. Farming seems to require that the host bird not notice or not care about this new egg, though, and that doesn’t look very likely. Soils are one of the largest reservoirs of microbial diversity on Earth. 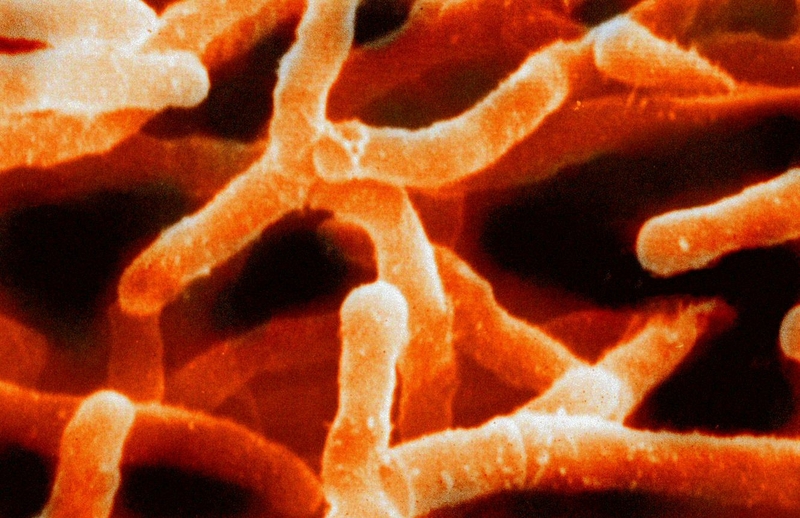 It is not uncommon for a gram of soil to contain 1 trillion cells and 10,000 species of bacteria, including Actinomyces israelii (pictured). | Photo: GrahamColm | WikipediaCC. If you follow science news at all, you’ve likely read about the discovery of countless new species. It seems like nearly every day a scientist somewhere is describing a new form of life that we didn’t know. Consider microbial organisms, i.e. anything too small to be seen by the naked eye. Those little things are everywhere, with a single gram of soil containing up to a billion such life forms. So we keep finding new life, but that has to stop eventually, right? According to a study from Indiana University, it’s more likely that we will never successfully catalog all the life on Earth. Why? Not for lack of trying, but that study estimates that there are about one trillion unique species on Earth. How many have we found so far? Only one thousandth of one percent, meaning 99.999% of organisms out there is a total mystery. Those are some staggering numbers, and like the best science, in trying to answer a question, these researchers found out just how little we know. The study reviewed other studies on biodiversity. Over 35,000 recorded sampling efforts of everything from trees to bacteria. Earlier estimates assumed a much lower number of unique species, but they have routinely used sample sizes that were too small and sometimes suspect math. There also haven’t been many efforts to look at these samplings in the larger context and ask the big questions about biodiversity. So what does all this mean? Well for one it means that scientists who study microbial life will never want for something to do, which is a nice bit of job security. But it also gives us an idea of just how diverse life on the planet is, and why protecting it is so important because it’s not as if every single species is represented everywhere. 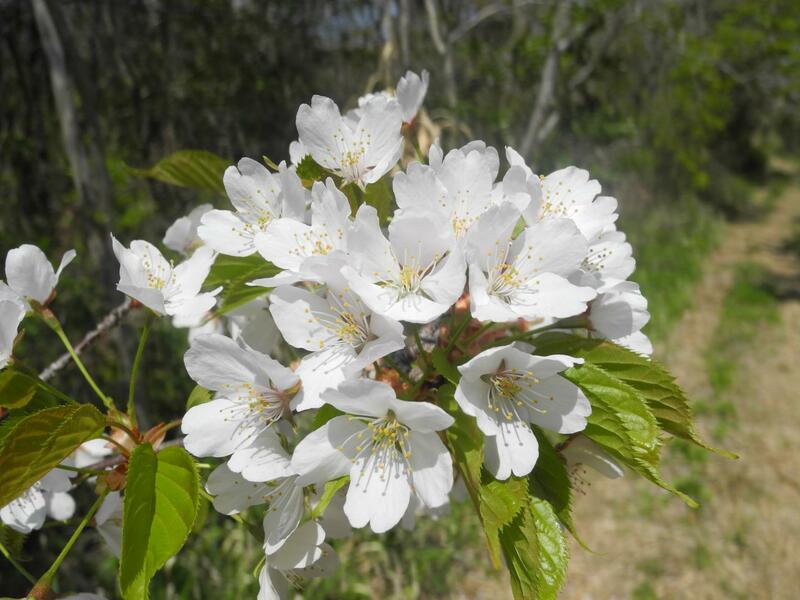 Wild cherry (Prunus verecunda) in full bloom in Okutama, Japan. Photo: Toshio Katsuki | EurekAlert! As global temperatures continue to rise, with an expected overall increase of up to 2 degrees Celsius by 2100, plants and animals will both need to find ways to either survive in warmer climates, or migrate to cooler places. The easiest way to do this is by moving up mountains. Changing elevation results in a more significant temperature change than moving north or south, by as much as 100 to 1,000 times. It’s for that exact reason that both Asiatic black bears and Japanese martens have been moving up in elevation in Japan recently. They’re seeking cooler temperatures, and in turn, they’re also moving cherry trees up there with them. The animals eat or store cherries as the head up, and subsequently defecate seeds or forget about the cherries, allowing new cherry trees to take root in cooler climates. About one third of all plants rely on animals to move their seeds to new locations, allowing those plants to spread out and improve their chances for survival. But so far, we don’t understand the complexities of this process all that well. That’s because it’s an incredibly complex process built upon multiple, interacting ecosystems. On the face of it, animals eat fruit and the seeds pass through their digestive tract unharmed, which sounds pretty simple. But that doesn’t actually tell us what animals eat what fruit, how well those seeds survive, where they can take root, and so forth. Different plant species in different regions, and even one species from region to region, can have wildly varying levels of success with this method, depending on the types of animals which are native tot eh region, or which happen to be passing through. More studies that focus on these movements will be necessary in order to build a better understanding of how such plants will mange to survive increasing temperatures in the future. 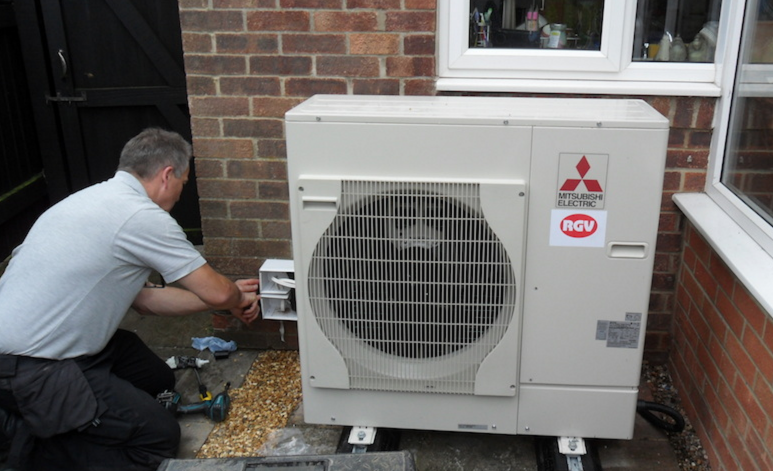 Heat pumps are a solution to reducing the impacts of human caused climate change in the United Kingdom. However, there are not enough technicians available to install them. Photo: RGV Engineering. According to the UK Committee on Climate Change, replacing gas boilers in buildings with heat pumps is essential to that country reducing its carbon emissions. As such, the plan is to install 600,000 units throughout the UK by 2020, and as many as 2.5 to 4 million by 2030. Doing so will help Britain stay on track for its climate change goals. Unfortunately, according to a recent study by Dr. Colin Gleeson of the University of Westminster, there aren’t enough technicians capable of installing heat pumps to make it happen. He points out a lack of education, as there simply aren’t enough programs out there to train professionals in how to install heat pumps. The heating industry is partly to blame, as many just haven’t bothered to learn this new technology, but what training does exist is haphazard and doesn’t follow a standard syllabus. Although this is a particular problem, it has broader applicability. Apparently, the answer to climate change lies in reducing, if not reversing, carbon emissions. Lowering emissions and removing existing carbon from the atmosphere or the oceans will go a long way towards changing the dangerous climate trends that we’ve been seeing. Of course, doing so requires new technology. It’s because of the existing technology that we’ve gotten to this point in the first place, so obviously we’re not going to fix the problem with what we’ve got. As scientists and engineers develop ingenious new ways to reduce carbon emissions, we need to find the means to implement those ideas. In most cases, this requires adopting new technology, but that can be difficult. As much as some of us may wish to take new technologies, the largest polluters, namely corporations and governments, have to adopt them as well, and that usually costs money, which those kinds of organizations want to save. Even in situations where citizens can help, finding someone capable of installing this new technology can be difficult, and it’s generally up to governments to make sure that new technology is accessible and that the people working with it are properly trained. 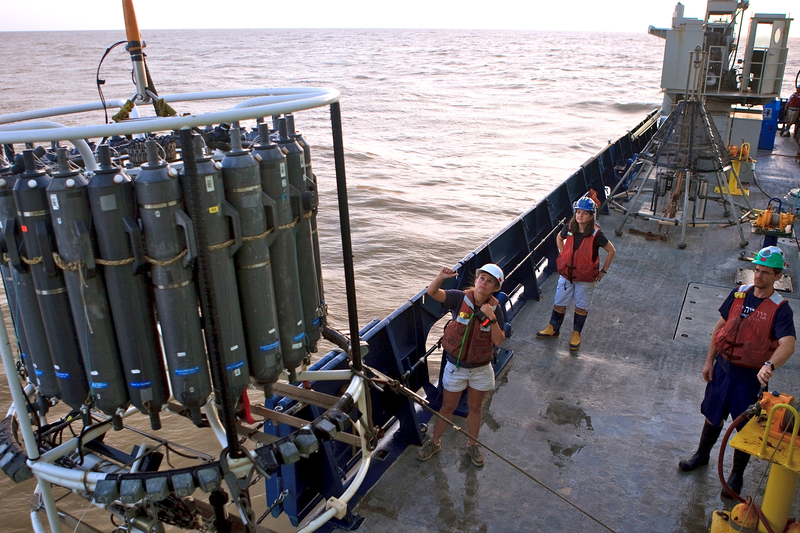 The RV Atlantis carries sampling equipment about to be lowered into the Amazon River plume. Photo: University of Georgia | Lance Willis. Large rivers empty into oceans and create plumes, a swirling mass of fresh and salt water that signal breaks in coral reefs, which can’t live in fresh water. The Amazon River typifies this, and its plume creates a huge break in Atlantic reefs. At least, that’s what we thought. A new study in Science Advances details a coral reef system discovered in the Amazon River plume, which is home to a wide variety of life and has some fascinating interconnected ecosystems as well. In the southern part of the plume, most of the reef is made of typical corals, which photosynthesize for food, because they have access to light. 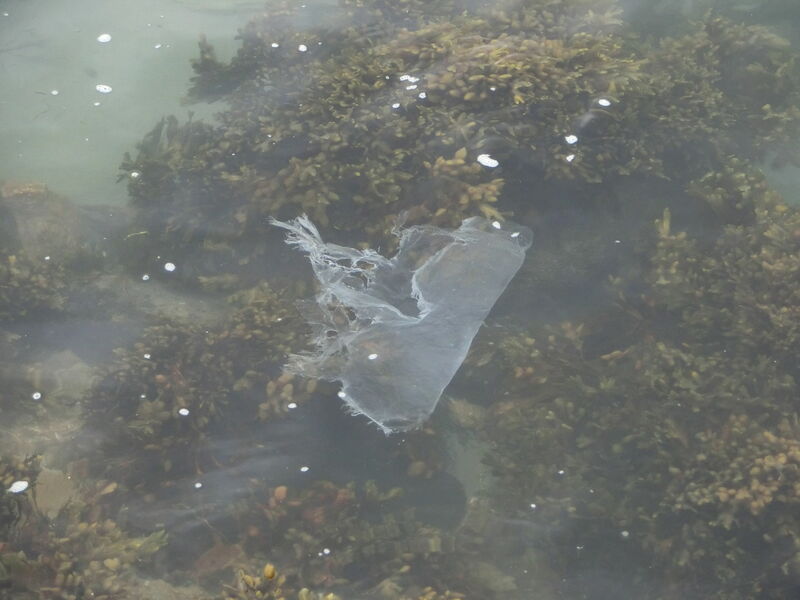 But as you move north, the plume reduces the amount of available light underwater, and so there they reef consists largely of sponges and other creatures, which feed off nutrients washed out into the ocean by the river. The study is pretty amazing and contributes a lot to our understanding of coral reefs. The variations in ecology based on access to light were particularly interesting. It reveals that microorganisms in the darker waters help to connect the river and reef environments. But of course, it’s not all happy news. Like any other coral reef, this one is threatened by human activity. Increasing ocean acidity threatens the reefs, and there are also plans for offshore oil drilling in the area. Those plans can hopefully be stopped since it wasn’t apparent that there was a coral reef there, so maybe this discovery can forestall oil exploration there. Ocean acidification and warming both have a devastating impact on coral reefs, as has been seen in other parts of the Atlantic especially, and this reef is no different. Maybe this discovery, and more research here, will help to spur more active attempts to reduce those impacts.